We’ve been putting together a great selection of resources for therapists treating runners in clinic. They’re all free and we’ve collected them here on this page for you to download. 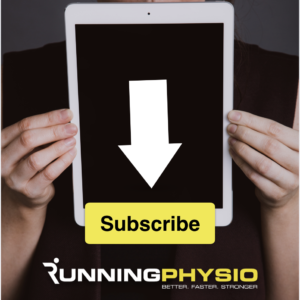 Simply click the button to download each clinic tool and you’ll also join our Cutting Edge Clinicians mailing list to receive more exclusive content from the RunningPhysio team. In addition to great downloads we also have a free achilles tendinopathy webinar for you. Access it by clicking the image below and we’ll also keep you up to date with all the news about Running Repairs Online. Click the button below to download our free Glutes Circuit. See our accompanying blog for the evidence behind the exercises. Our exercise programme for plantar fasciopathy has proved really popular! You can download it using the button below and check out the accompanying blog and video. In our extensive series on recovery we’ve discussed its importance for performance and injury prevention and highlighted the key role sleep plays. Below you can access our guide to recovery and our download for optimising sleep. This clinic tool is a real time saver that allows you to record progress in key objective measures for your runners and assessing their running capacity. For more information see our blog on running capacity and performance. We’ve written a detailed blog on optimising performance for injured athletes. Click the button below to download our top tips! Prevention is better than cure! Athlete monitoring allows us to see how well a runner is coping with their training and change things when signs of fatigue arise to prevent injury. Read more about it in our blog here and download the athlete monitoring tool below. Multiple factors can influence tendon health and response to treatment. We’ve designed the TendonQ questionnaire to help you identify these factors and systemic conditions that may cause tendinopathy. It’s a complex topic so we’ve explained in more detail in our Facebook video. We’ll keep the page updated with new free content. Don’t forget we also have a series of free videos on treating runners with achilles tendinopathy, find out more HERE. Next articleCan gait re-training improve performance?